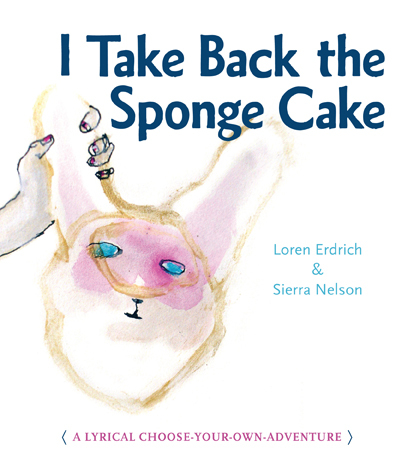 Those who enjoy directing their own artistic experiences should check out I Take Back the Sponge Cake, a "lyrical choose-your-own-adventure" book, illustrated by SAIC alumna, Loren Erdrich. Erdrich's simple yet gritty drawing style compliments Sierra Nelson's poetry nicely, giving us disorienting sensory experiences to dip our toes into and leaving us to sink or swim from there. Erdrich and Nelson met during a year-long residency in Vermont, where they were assigned studios that shared a wall. After noticing that their work was complimentary, and they decided that a book would be the best avenue to combine the two -- but not just any book. "Somehow we needed that third catalyzing element -- invoking a process of inquiry for the reader and creating an interactive way for us to structure the whole," Erdrich and Nelson explain in the introduction. 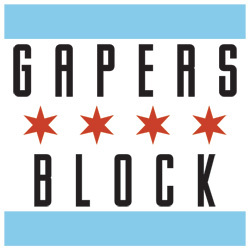 "Ideas of invitation, audience participation, and even serious playfulness are aspects of our individual work, and this format allowed us to access those traits more deeply in our collaboration." It is this "serious playfulness" that makes the book unique. If you've got a spare hour set aside for daydreaming and (preferably) a hammock, I suggest you pick it up and have a go at this surreal adventure.